I am so happy to be a part of this unique and new blog hop hosted by Teaching In Blue Jeans! The giveaways for this hop are unbelievable. 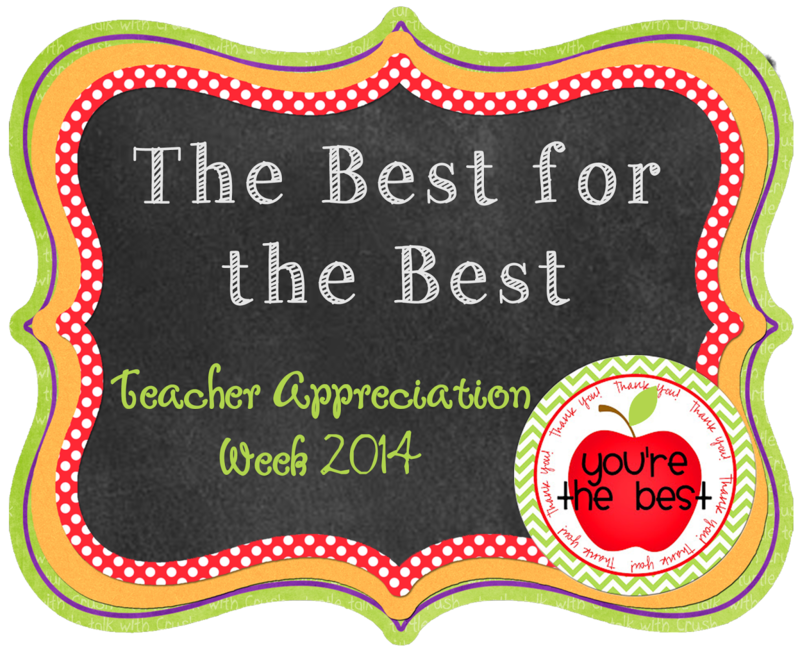 There are sooo many wonderful teachers participating. You do not want to miss out on learning about different resources created by teachers and how they use it in their classroom. 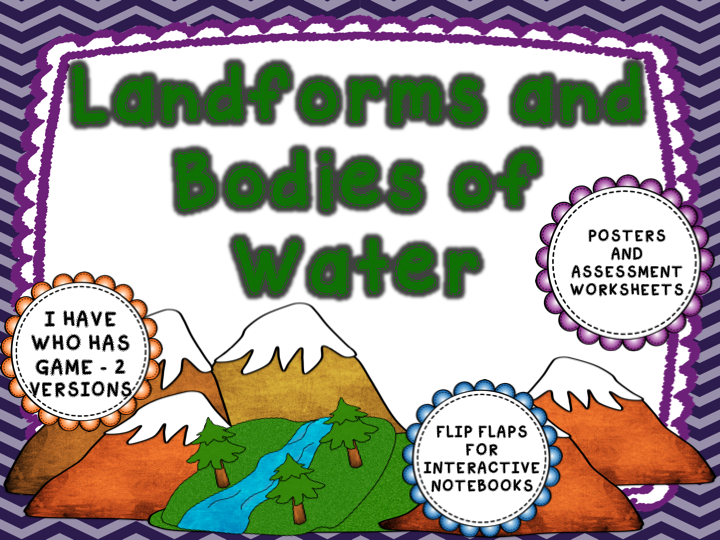 I will be showing you guys my Landforms and Bodies of Water unit. It has been my best seller for a while now! Yay! 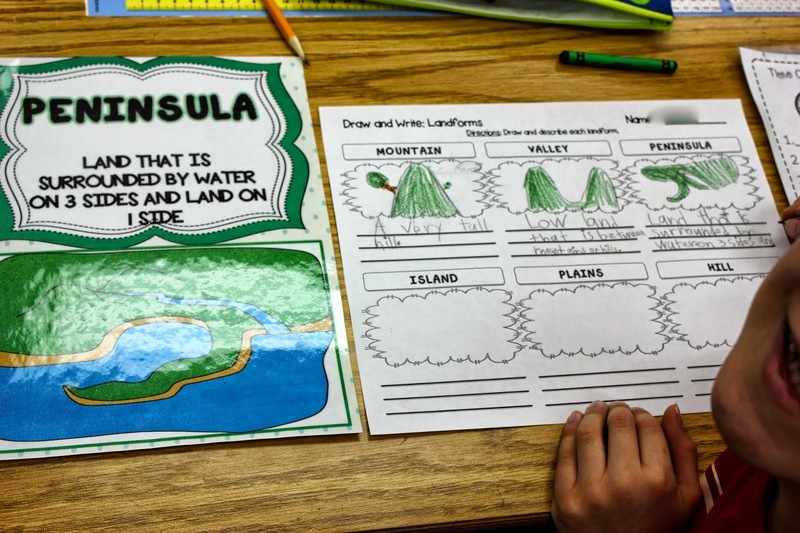 I am going to share with you pictures from two other teachers and how they have used it in their classroom because for some reason, I can't find the pictures I took when I used the product. It was a while back - near the beginning of the year. My computer eats things up sometimes. Or maybe it has to do with my amazingly unorganized files. Angie from Lucky Little Learners reviewed this product for me in one of her blog posts. I just love the way she takes her pictures...so much better than mine..ha! Thanks Angie for letting me use these! 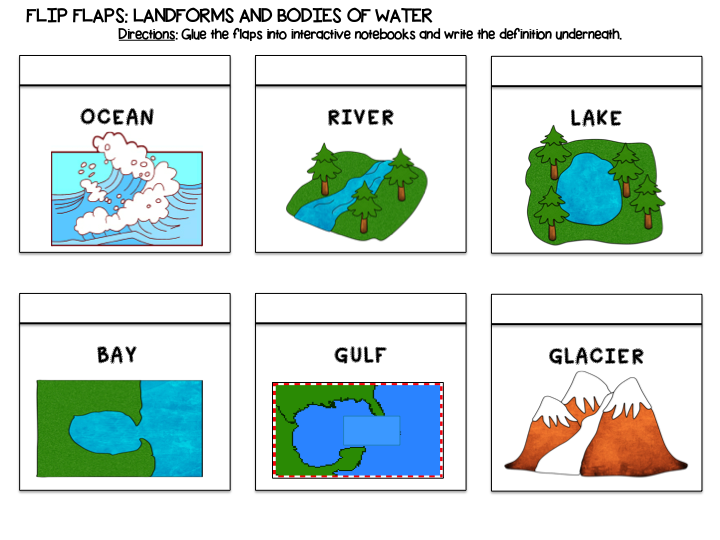 I have posters for many types of landforms and bodies of water. 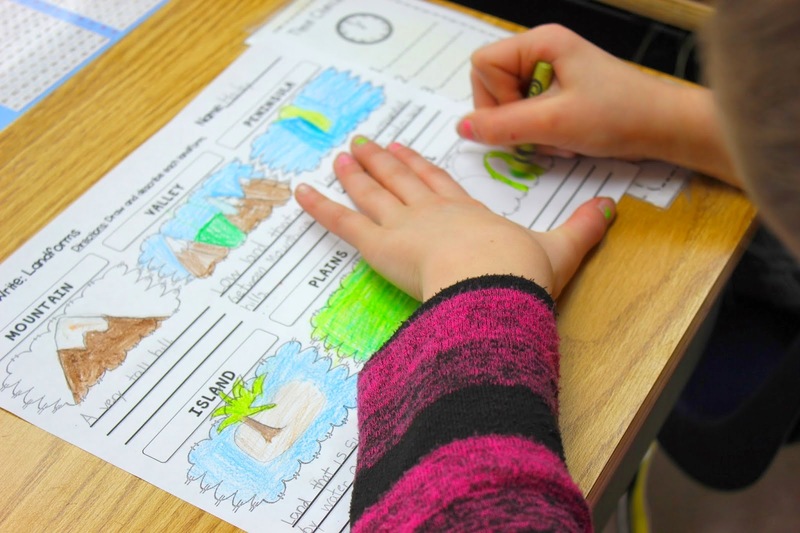 Students can use the information on them to fill in the definition and picture worksheet. 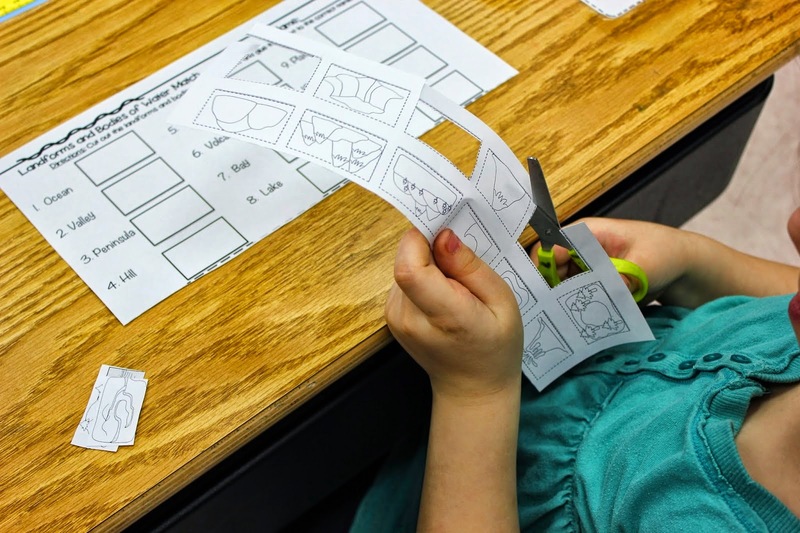 For assessment, there is also a cut and paste activity. 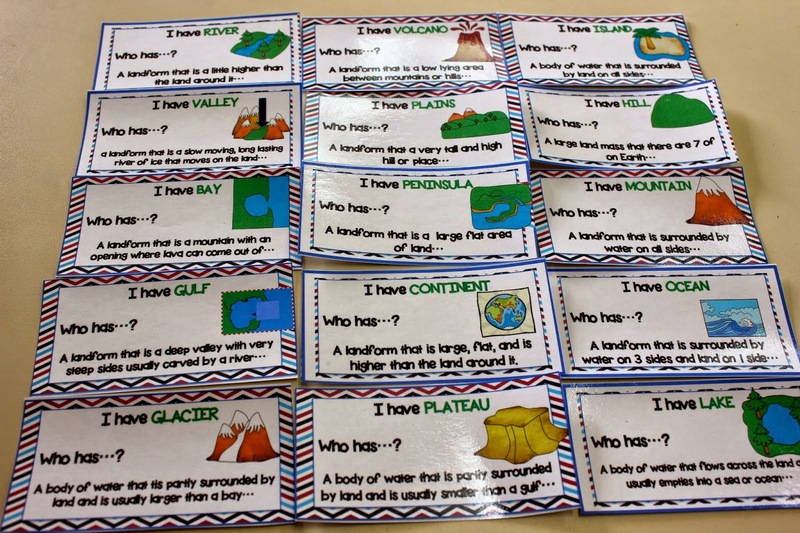 There is also an "I Have Who Has," game for the landforms and bodies of water. There are 18 cards, so they be used as whole group or small group or teacher group review. 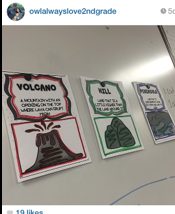 I saw some pictures from another awesome teacher. 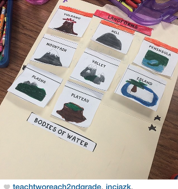 Furnell from Owl Always Love 2nd Grade posted these pictures just a short bit ago on Instagram and I had to steal ask for permission to use them also in this post! Now, here was an ingenious idea. She didn't print the posters in color, but just used some markers to fill in some spots, and to me, they look just like they were printed in color! In this unit are flip flaps for the interactive notebook or file folders. I hadn't thought of the file folder idea, but love it! Thanks so much Furnell for posting these pics! Make sure to jump through the hop and visit everyone. And don't forget to enter the giveaway at the bottom of this post! There are different giveaways you can enter as you hop along!